For Monday Made It I wanted to share with you some of the things we made for math! 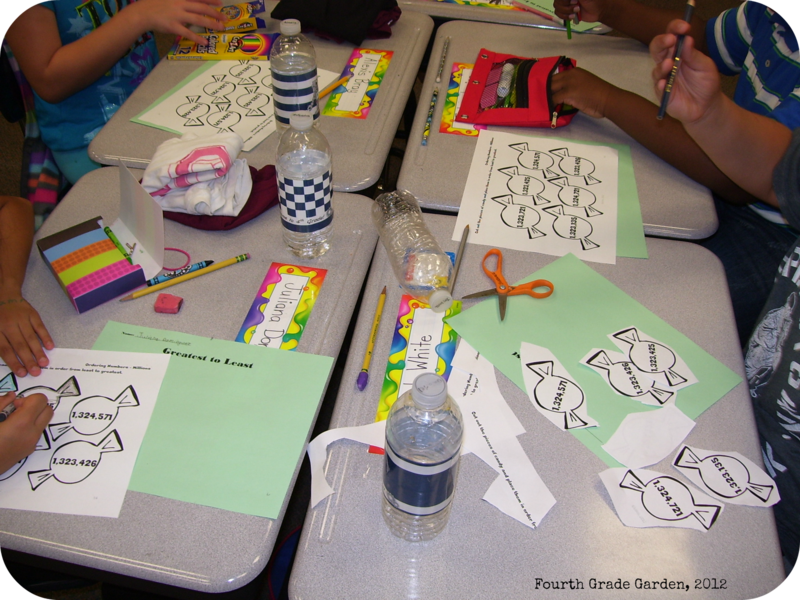 This past month we dove head first into the Common Core Learning Standards for math, starting with Module 1. 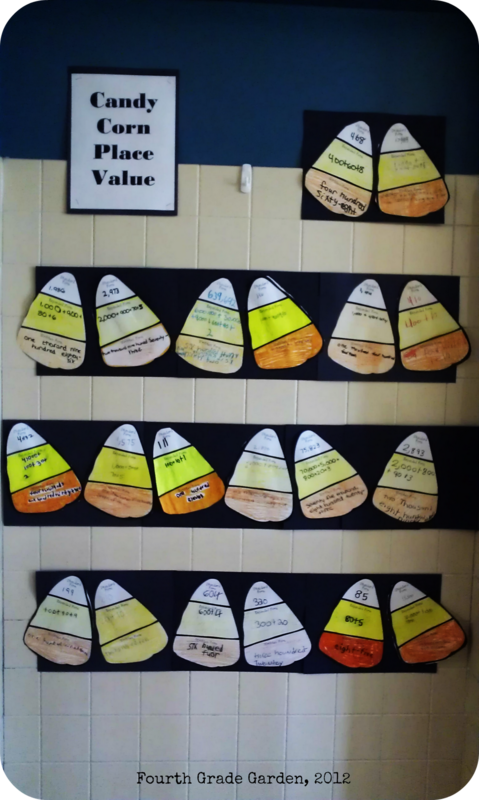 Our focus for the last few weeks has been place value. 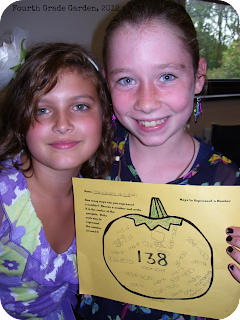 We started out thinking about all the different ways we can make or represent a number. 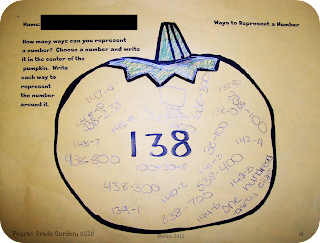 We used place value blocks, other various manipulatives, and even recorded some possibilities on pumpkins. 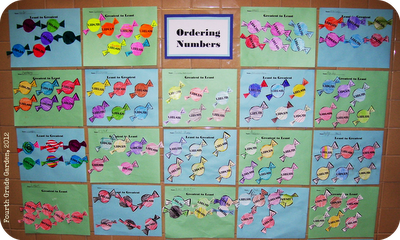 This picture shows all the different ways students were able to make a specific number. Each pair of students received a different number. Then we moved on to practicing some of the different ways to write a number: standard form, written form, and expanded form. 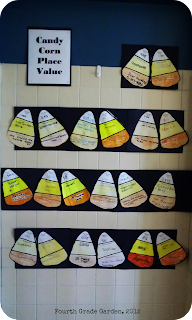 We choose numbers and wrote them in different ways on candy corn and hung them in our hallway for all to see. 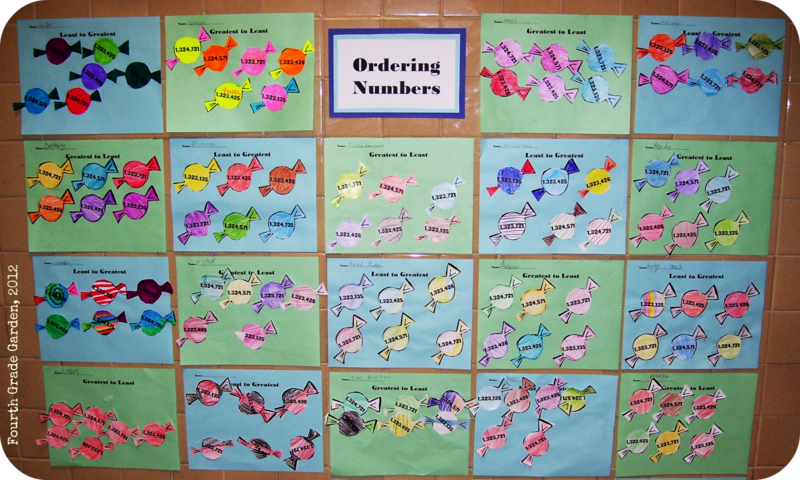 We also compared and ordered numbers. 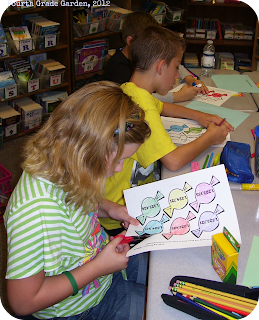 We colored candies in, cut them out, and organized them from least to greatest and greatest to least. We displayed these in our hallway as well. Our hallway was looking pretty fabulous for open house. You can try out these activities with your class, and many more, with my activity pack here at my Teachers Pay Teachers store. Check out some of my other fall related activity packs on my Teachers Pay Teachers store! 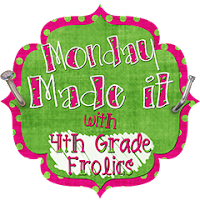 Check out Tara’s site for more Monday Made It fun! What have you made this month? Great ideas! I just might have to do some of these activities!! These are great ideas! It looks very engaging. Thanks for sharing! Oh, your activities look so fun! I just passed your link on to a fourth grade teacher at my school! I'm your newest fan! 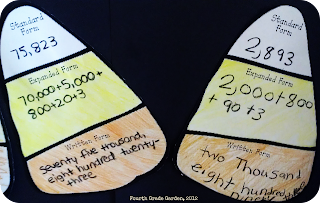 I love the Candy Corn activity! I will have to use that idea. I will definitely be back to visit your blog.